Although the British public is aware that the GB archery team is highly unlikely to repeat the success from the first London Summer Olympic Games that were held in 1908, it is completely realistic to expect a medal or two in archery. Two members of the GB archery team already won Olympic medals – Simon Terry and Alison Williamson, while many people have also high expectations from the North Irish archer Mark Nesbitt. After more than 60 years, the British will once again have the opportunity to watch the Olympic Games at home, while archery will be on the schedule the first time since the 1908 London Olympics (archery was readmitted in the Olympic schedule only in 1972). The first archery event will be held on 27 July at the Lord’s Cricket Ground. The venue which has a capacity for 6,500 spectators will go though a small makeover before the opening of the Olympic Games to make it perfect for hosting archery although the “home of cricket” as the venue is often referred to looks perfect already as it is. Londoners probably know very well where the Lord’s Cricket Ground is located and how to get there but in case you have not been at the venue before, you can find it in the district of St John’s Wood in north-west London nearby the Regent’s Park. The nearest tube stations are Regent’s Park, Baker Street and Great Portland Street, while the nearest railway stations are Camden Road and Marylebone. The archers will compete daily from 27 July to August 3 when the event will end with men’s individual quarter-finals, semi-finals, bronze medal match and the final for the gold medal. Women’s individual final will take place one day earlier, while the team final will be held on 28 and 29 July. Paralympic archery will be hosted by the Royal Artillery Barracks with a capacity for 7,500 spectators. As the home of the Royal Artillery since 1776, the Royal Artillery Barracks is an ideal venue for shooting and archery events. This venue is located in Woolwich Common, a military area south of the district of Woolwich in south-east London. 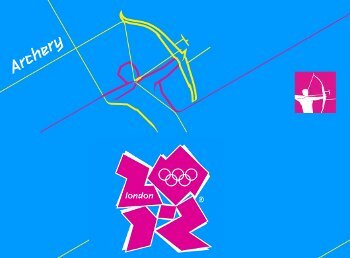 The nearest tube station is North Greenwich, while the nearest railway stations are Docklands Light Railway and King George V. Paralympic archery competition will be held from 30 August to 5 September. Archery is not as popular as other Olympic sports and generally, there is no need to worry about not being able to get the tickets if you make an early reservation. However, it is important to keep in mind that London will temporary became a home to tens of thousands of Olympic fans from all over the world. Brits who are not from London therefore should not forget to make room reservations in advance because there is a great chance that all hotels in central London will be booked out a few days before the official opening ceremony.